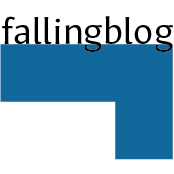 Welcome to the first post of the Fallingblog’s new section for offbeat and esoteric musical recommendations. If you listen to mainstream radio and yearn for more flavor in your auditory environment, let me help. I’ve been off the Top40 teat for so long that I can’t even tell you who’s playing what on the radio unless there’s been some kind of scandal. The musical world I live in just doesn’t have a word for the likes of Miley and Britney. Or, if it does, it can’t be mentioned on a family-friendly blog. Which isn’t to say that the music I listen to isn’t accessible — just less frequently accessed. I’d like to change that, and I hope you’ll enjoy at least some of what I post here. Oh, and if you want a different experience, just use that little floating menu thing to the right and click on “All Knitting Posts” or another option. I can’t remember exactly when I got into these Swedes. I do know that the first song I connected with was “Gamen” but on researching more of their work, I found they had done an absolutely fantastic series of tracks based on Hildegard von Bingen hymns, including the iconic “O Euchari In Leta Via” which I had discovered via Richard Souther some time previous. They haven’t released anything in over a decade and their website and blog seem to be almost as dated — but I’m sure if you buy their music, they’re still getting a cut and I’d like to see them experience a surge in popularity. MusicBlox caveat: I don’t use iTunes because I don’t want to be roped into a specific method of music management. I manage my music collection my own way and iTunes doesn’t jive with it. There’s very little available in iTunes that I can’t find elsewhere. But if iTunes is your bag, you can feel free to search there too.